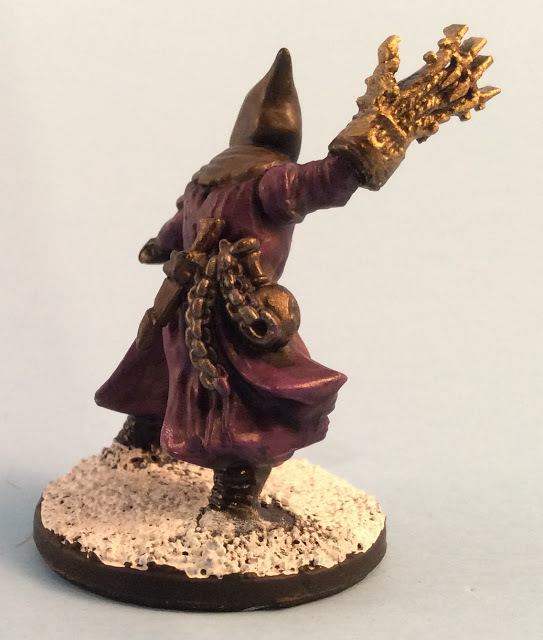 When I first saw this box of Cultists, I had to have it. 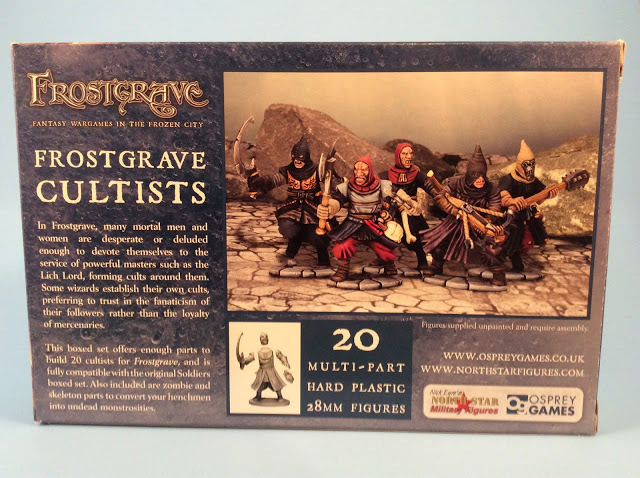 I had been hesitating on buying Frostgrave, but after watching some good reviews about the game and seeing this boxed set being released, I decided to buy into the system. I am happy that I did. The game is great and the figures are really cool. 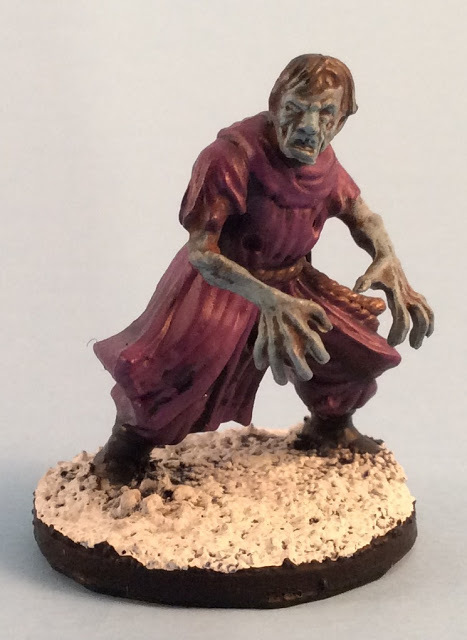 I bought my Forstgrave Cultists Boxed Set and my “Thaw of the Lich Lord” book from J&M Miniatures at a convention in March. When I saw this box art, I had to have it. 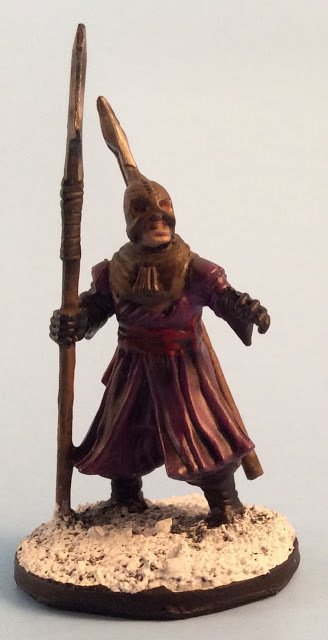 The box art looks so cool and I already have a collection of Modern Cultists. 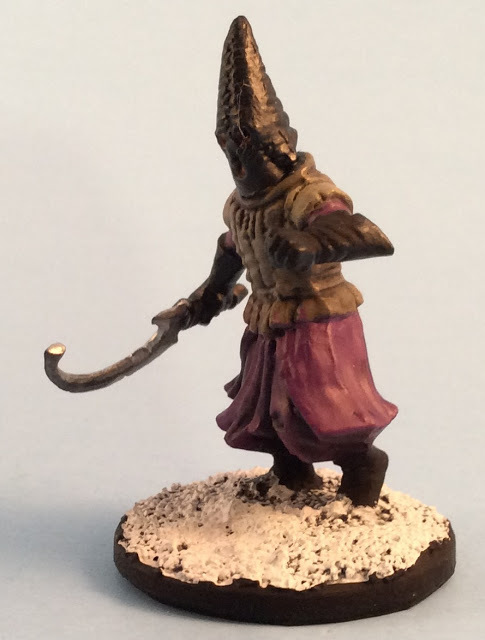 Might as well have some fantasy Cultists too. 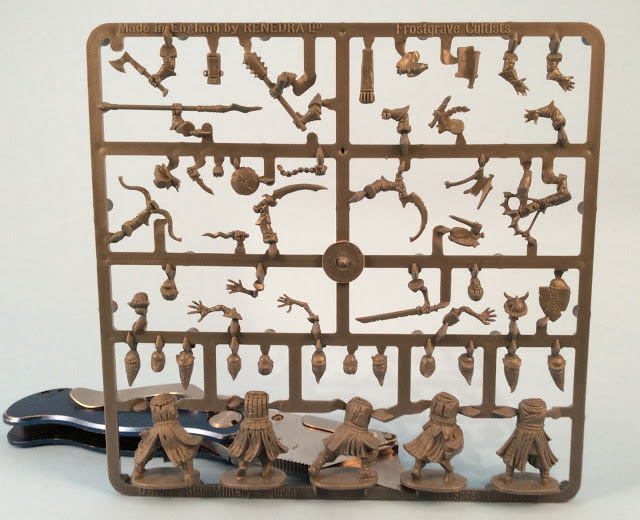 The box comes with 4 identical sprues. You can see a whole mix of weapons options and heads. 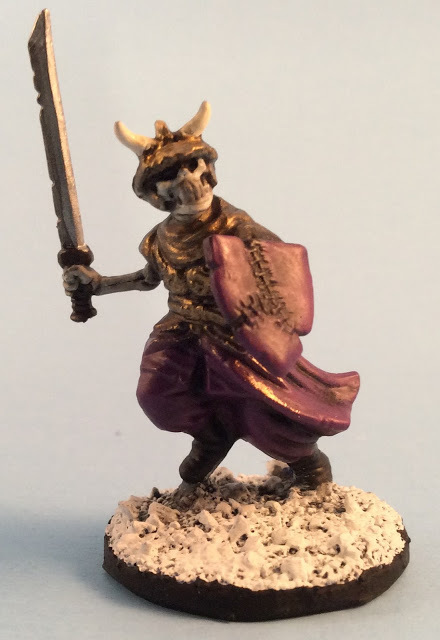 The head options were extremely nice because undead heads also come on the sprue. 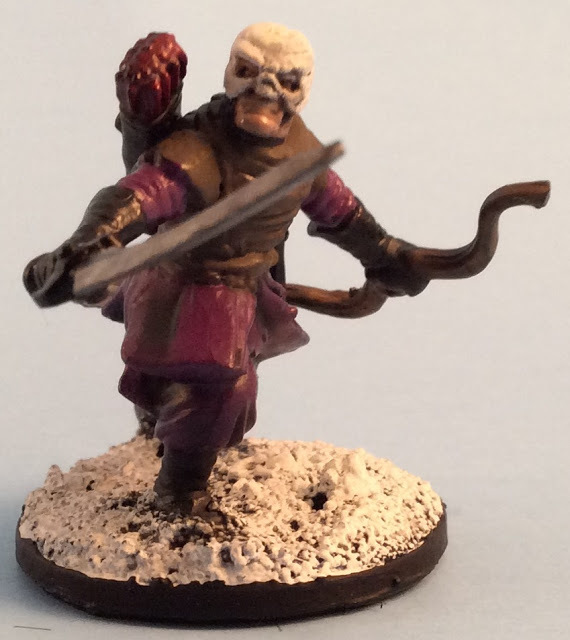 This means that Skeletons, Zombies and Cultists are all possible using just this kit. 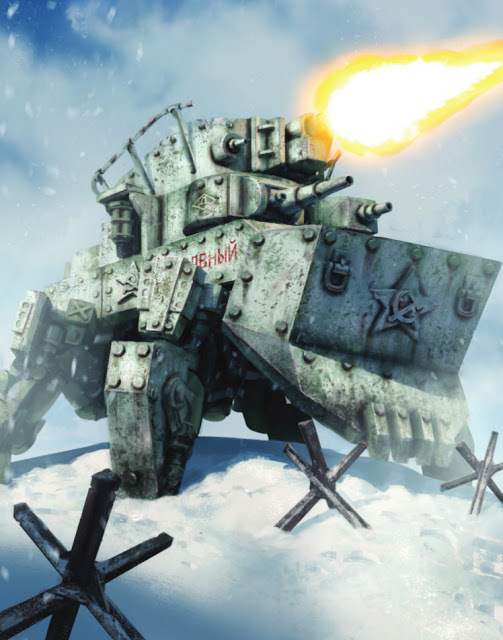 I have also seen pictures on the internet of people successfully kit-bashing this product with the earlier Soldiers Box set and the products of other companies. 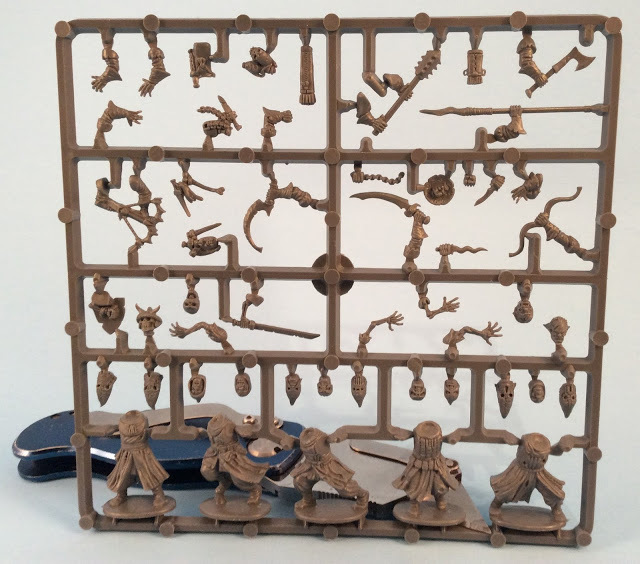 Here are the backsides of the same sprue. 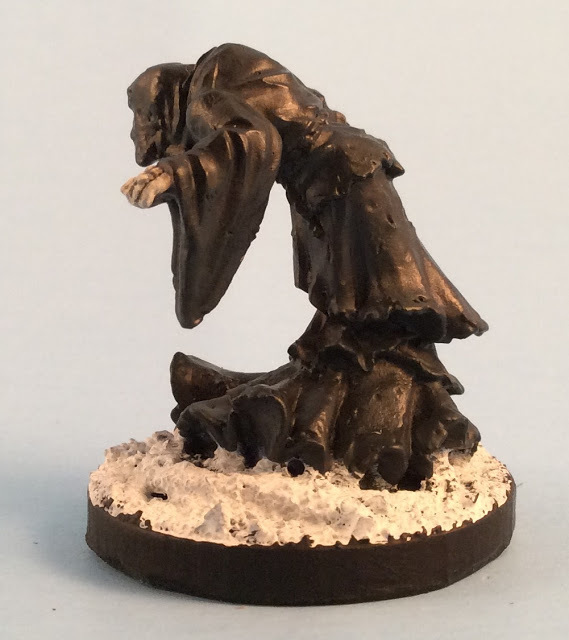 The box also came with circular bases to glue the figures so one does not have to be limited to the integrated stands. 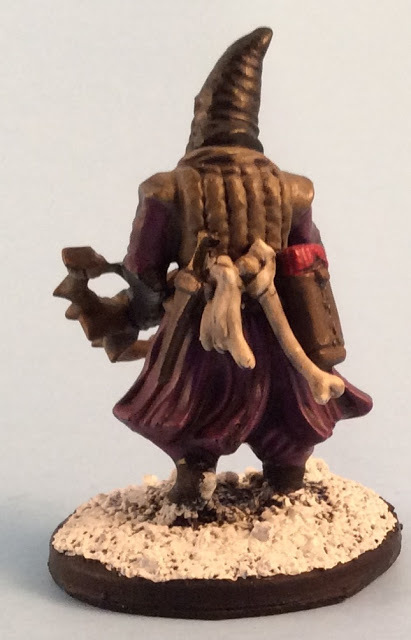 Below are pictures of models that I made using the contents of this box. There are a few bits here and there that I got from elsewhere, but I will make note of those exceptions. 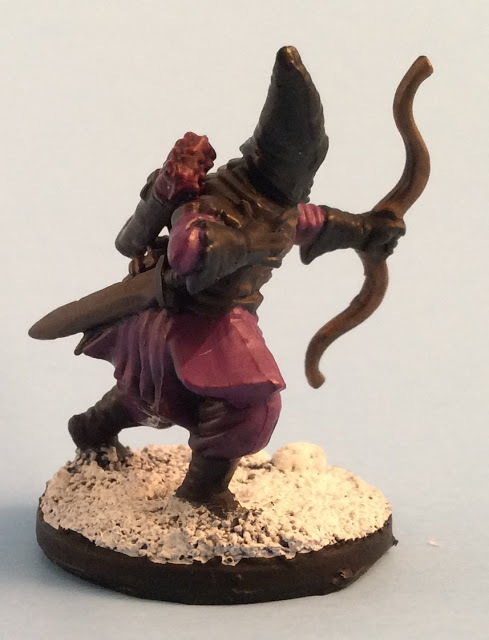 As far as my painting skills are concerned, I consider myself an okay painter and aim for tabletop quality. 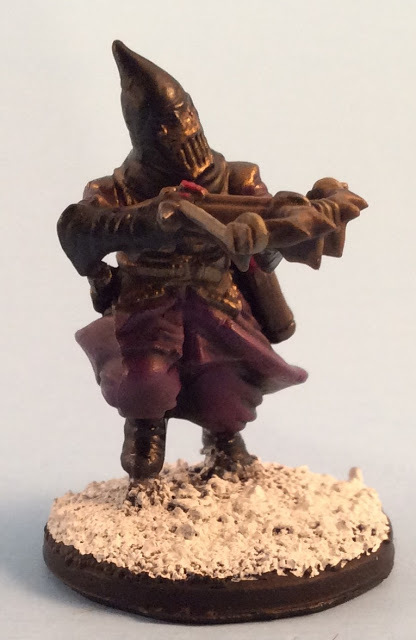 I know that I won’t be winning any Golden Demon awards for my work, but I have been lucky enough to win some best appearing army prizes for my miniatures in the past. 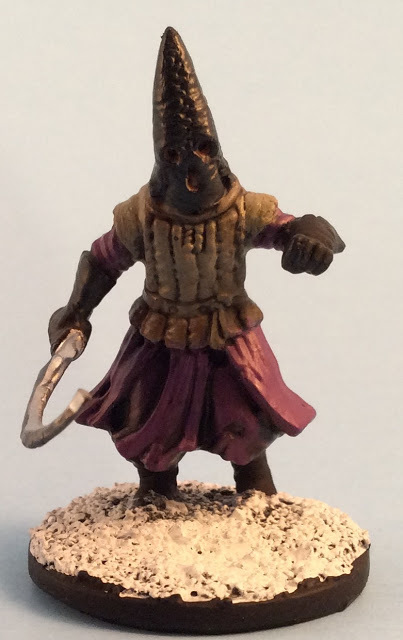 I believe those prizes are usually due to my army theming and basing over my painting skills. I hope that my readers enjoy seeing what I have done with my box’s contents. 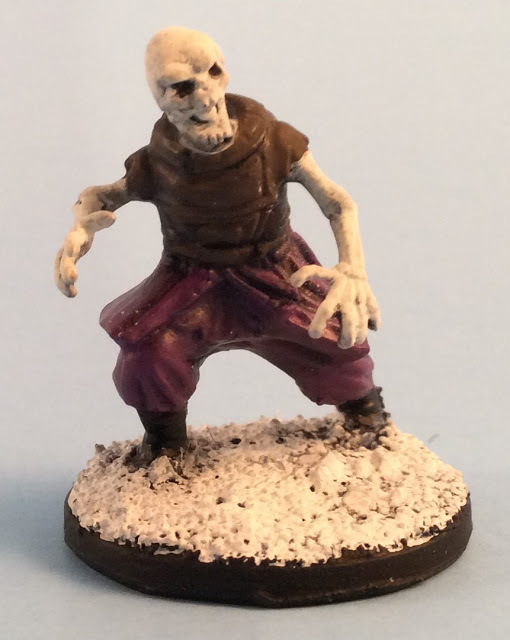 A Skeleton for use in my warband in case I am lucky enough to find the treasure in “Thaw of the Lich Lord” to raise Skeletons. 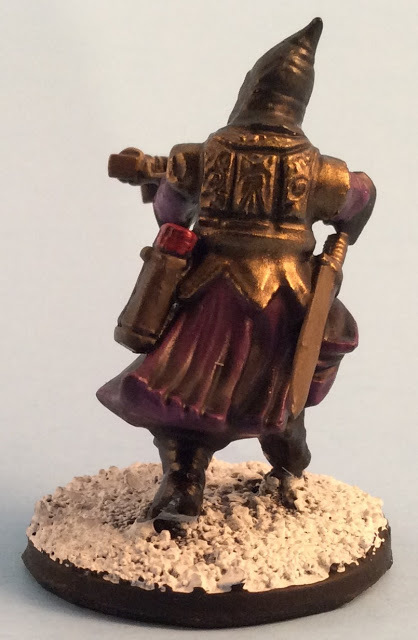 I like the detail on the back side of the leather armour. 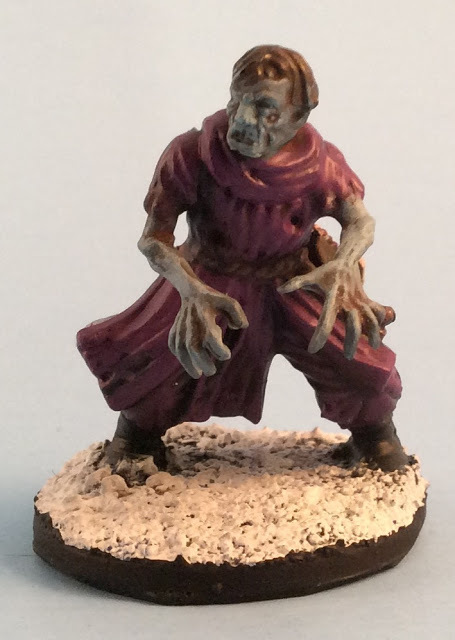 My Cultist themed Zombie for my Raise Dead spell. 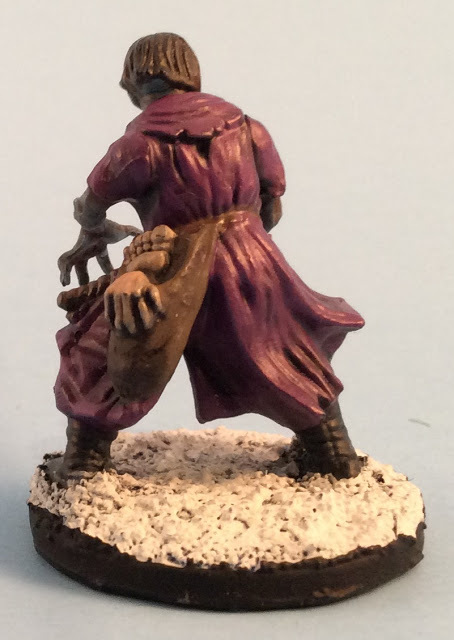 The bag of hands and feet are from a Mantic Games Ghouls Sprue. 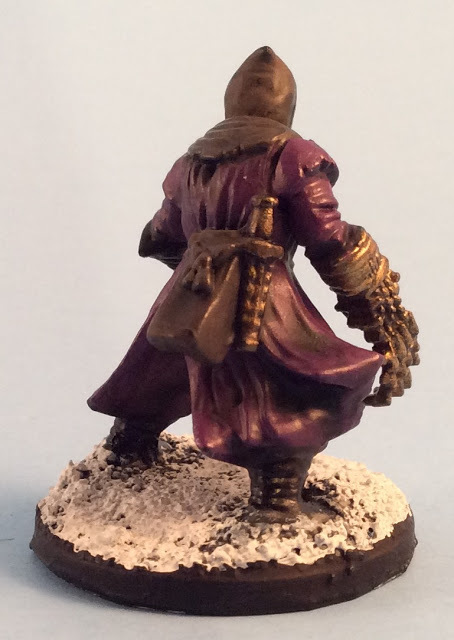 I like how the detail came through in the padded armour and the robes. 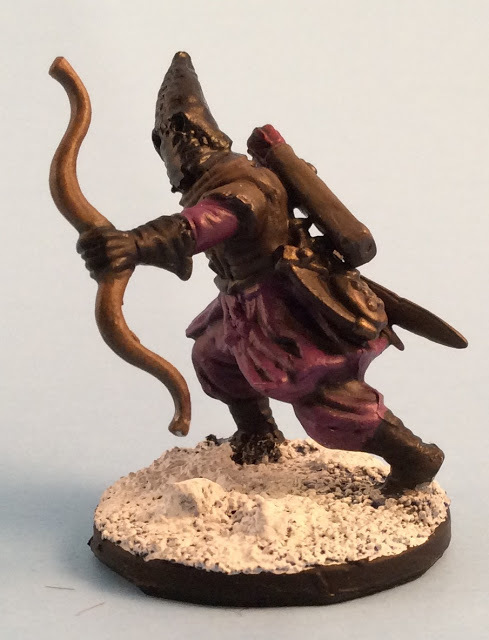 My Thief / Treasure Hunter. 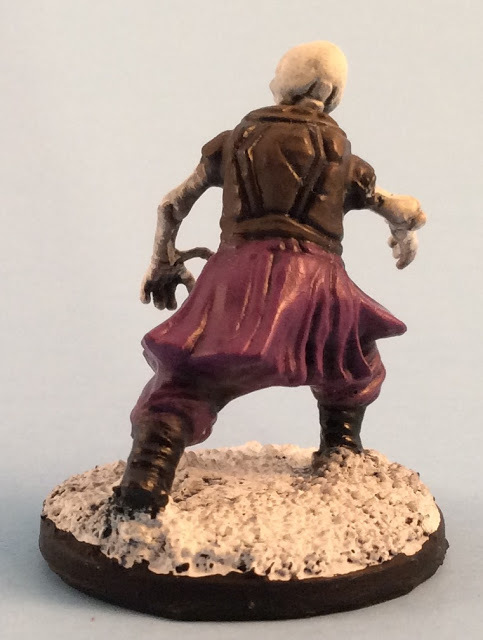 The claw is from a Mantic Games Ghoul Sprue. 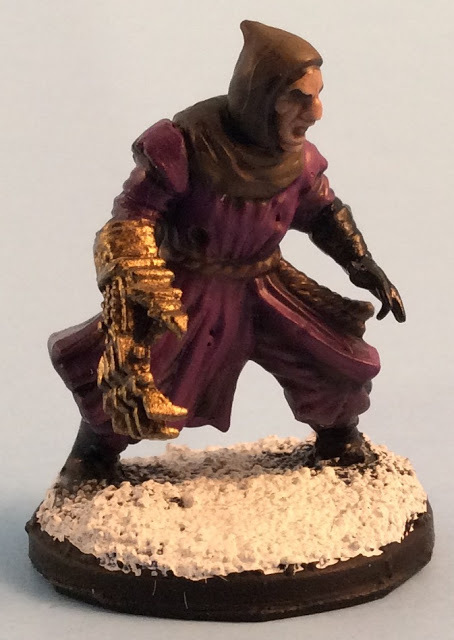 The claw here is also from a Mantic Games Ghoul Sprue. A Javelineer. 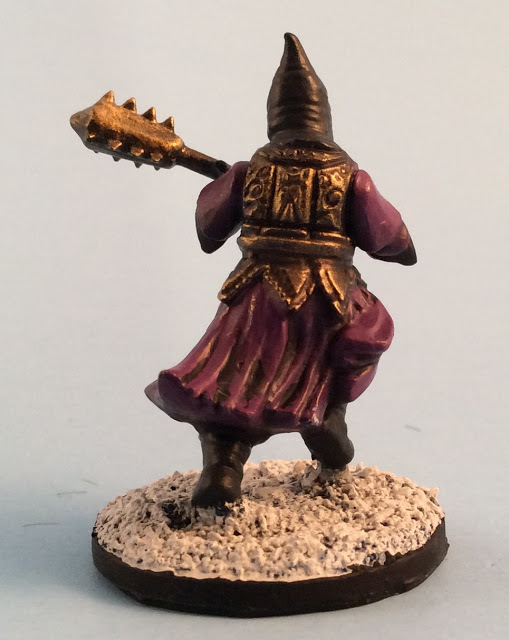 The spear on his back is from a Mantic Games Skeleton Sprue. Another Javelineer. 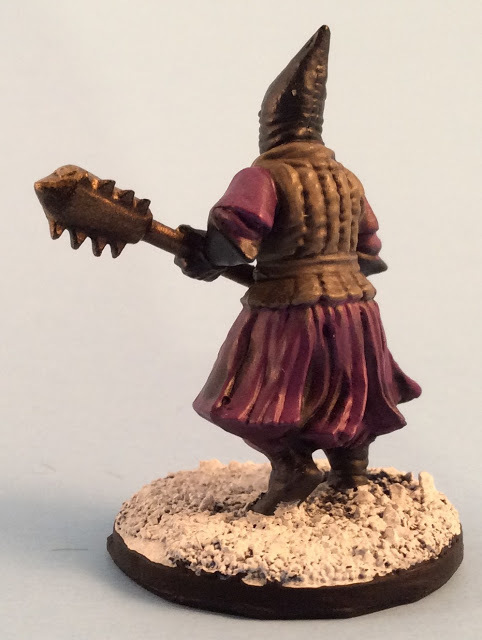 The spear on his back is also from a Mantic Games Skeleton Sprue. 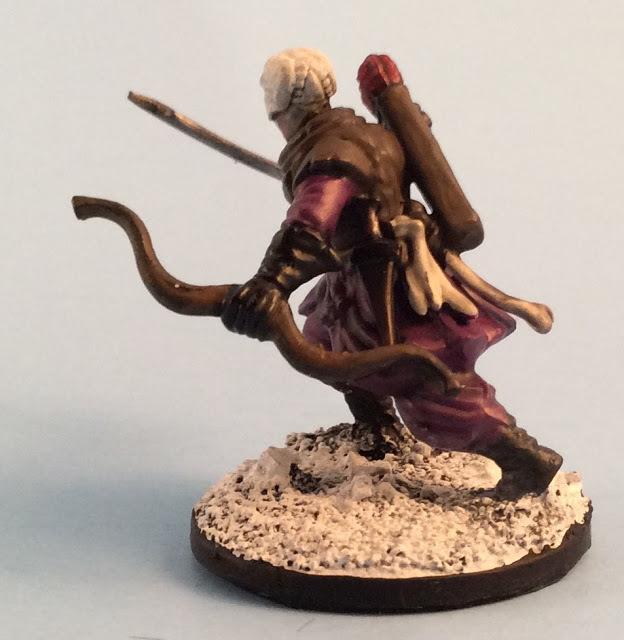 An Archer / Ranger. 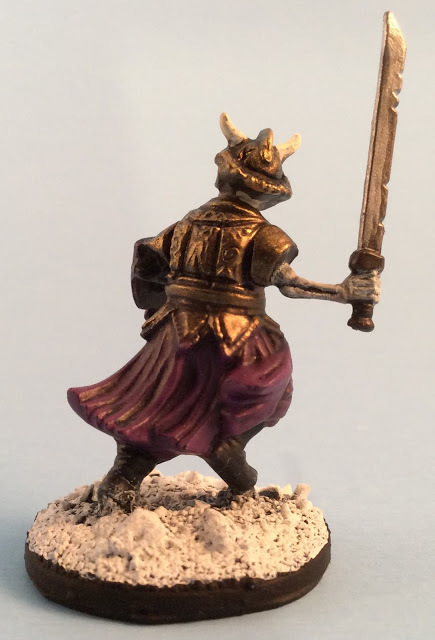 The sword on his belt is from a Mantic Games Skeleton Sprue. 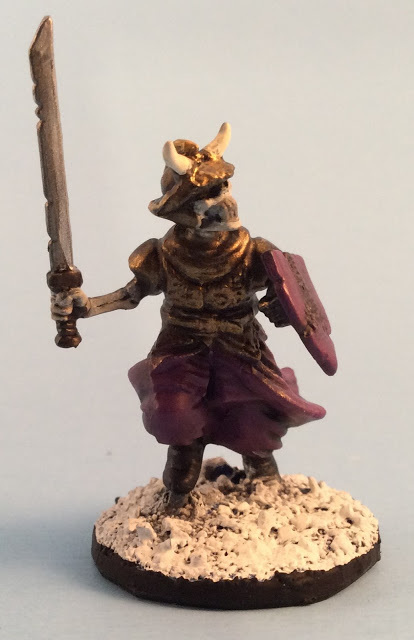 The Sword on the belt is from a Mantic Games Skeletons Sprue. 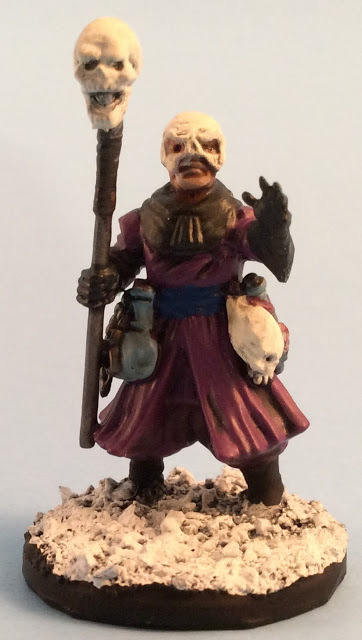 A Dark Apothecary. 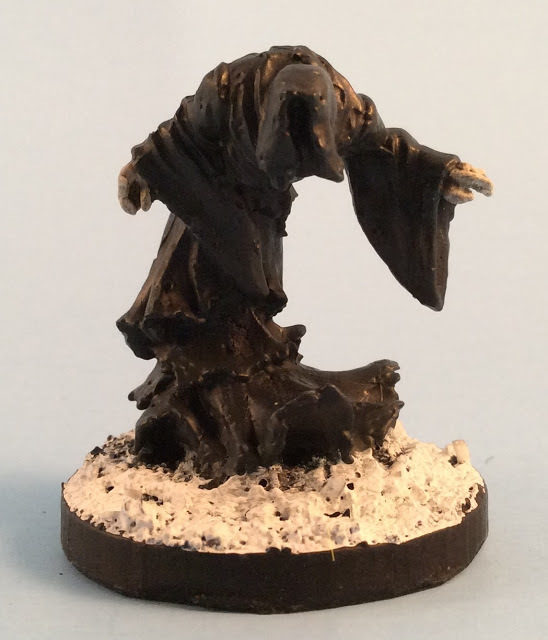 This one is kit-bashed, but everything used to create this piece is found in the Cultist Box Set. 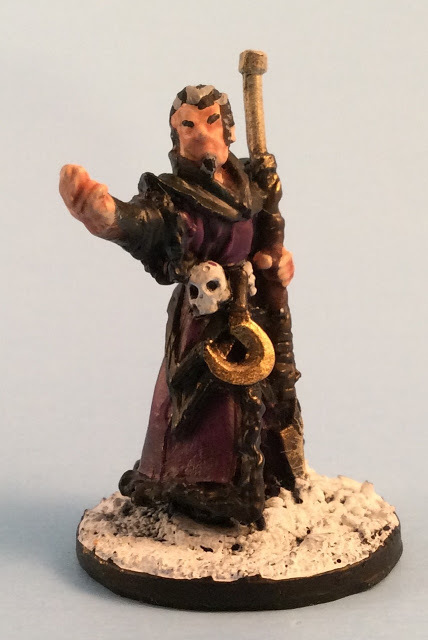 This figure could double as a Wizard too if I wanted. This Character is my Crow Master. He can also be used as a Thug. 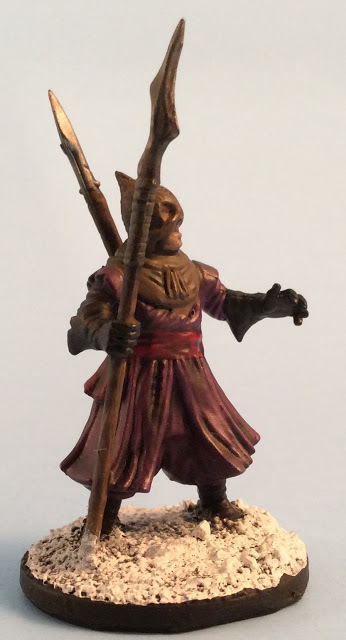 Overall, I am very happy with this boxed set and really like how my models turned out. Everything fit together nicely and I had no need to use any “green-stuff” to fix errors in the models. 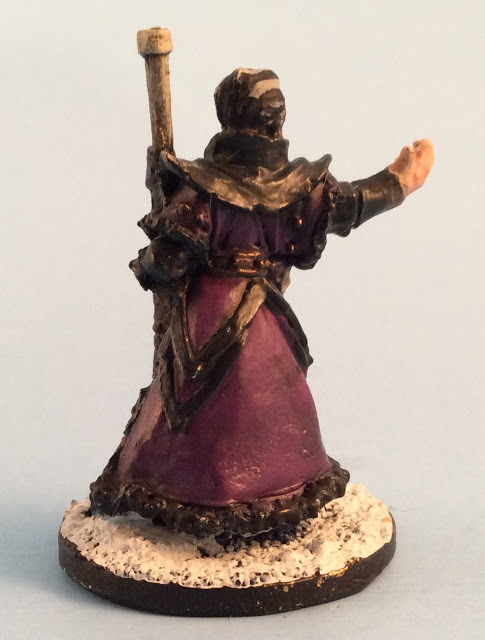 These aren’t the most detailed models in the world, but that is fine. They look good and I am happy to have them. For an observant reader, they may realize that I have only displayed 15 figures in this showcase (not 20). 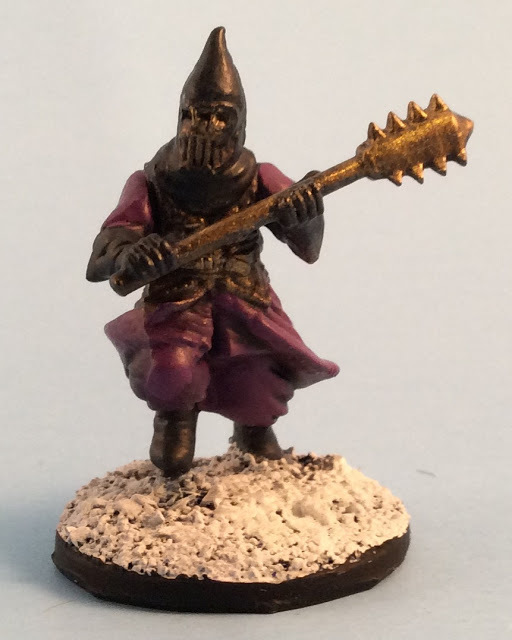 I actually kept a Sprue of 5 figures aside waiting for new books in case a new soldier type emerges that I would like to build with a cultist theme. 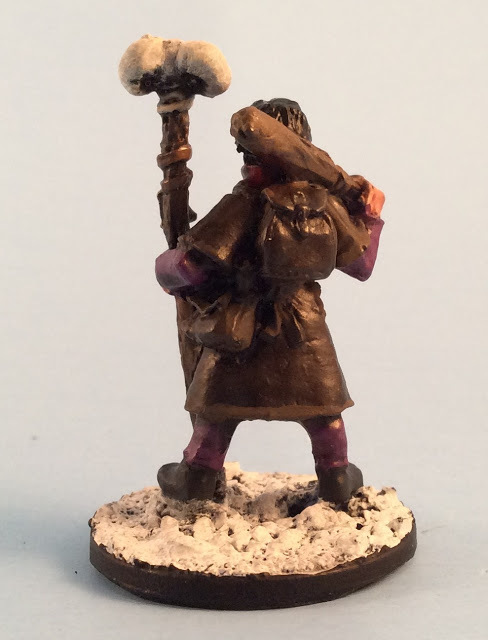 To end up my article, I would like to show off some other North Star Military Figures for Forstgrave that are not part of the Cultist Boxed Set. 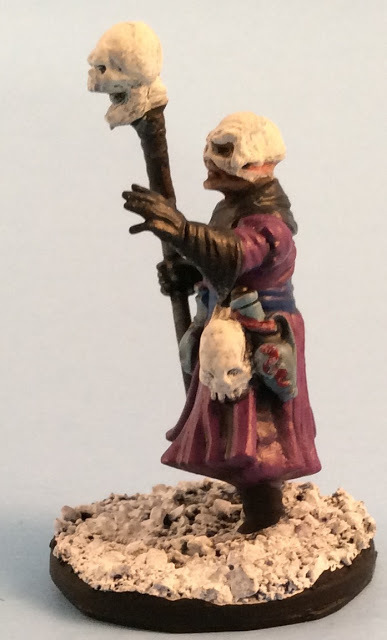 This is my Necromancer. 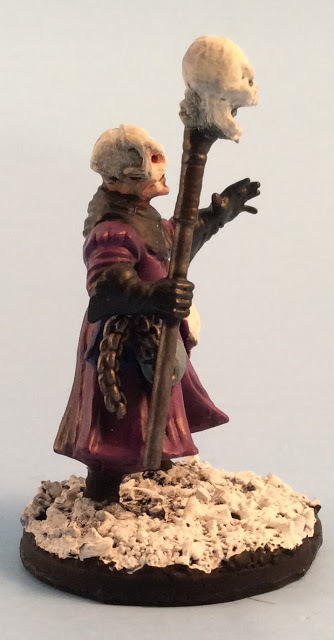 For the most part, he turned out good, but I am not happy with how the face. 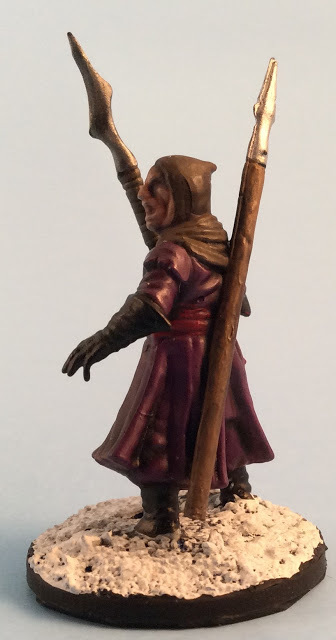 Generally I rely on inks and washes to draw out the details on a face and don’t usually bother painting eyes, eyebrows or other details on the face. 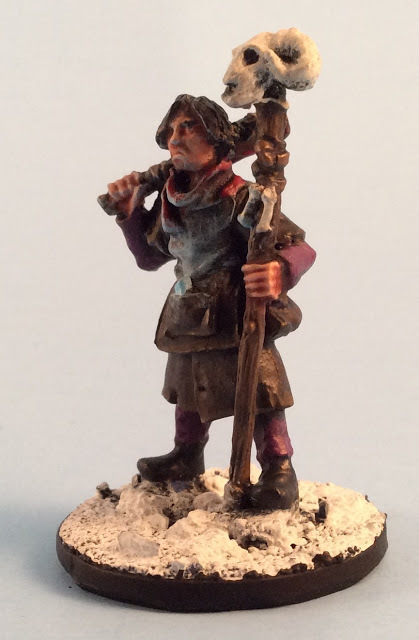 On this model, the inks never recessed into the face as I would like so I ended up painting on the eyebrows and leaving it at that. I did attempt to shade it, I just didn’t get the results I wanted. 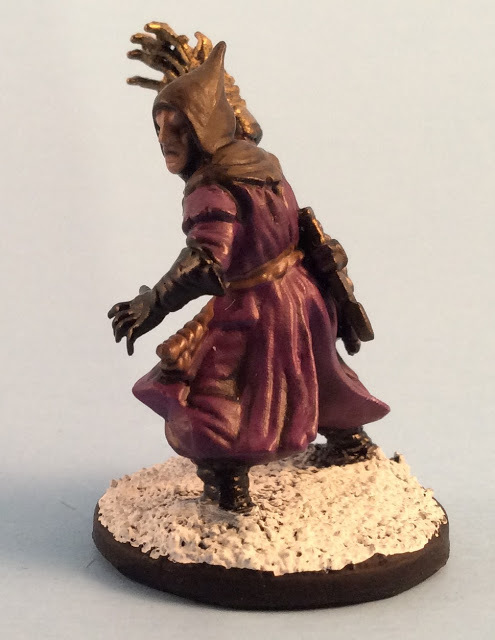 This model turned out great. 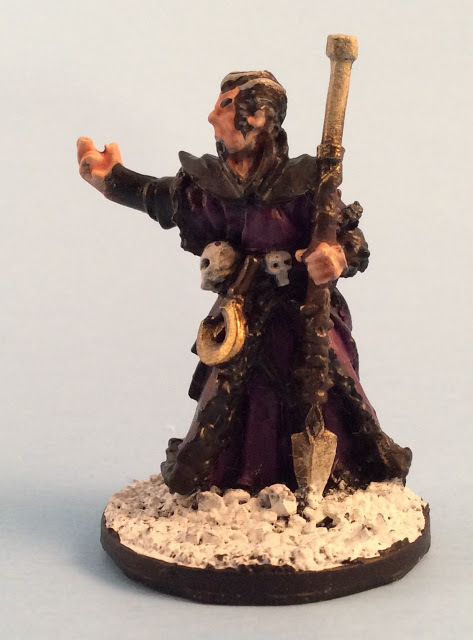 This is the Apprentice from the Necromancer pack. 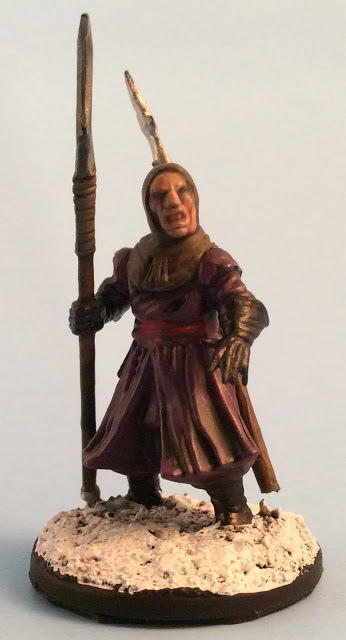 His face looks superb and that is all done with washes and highlights. 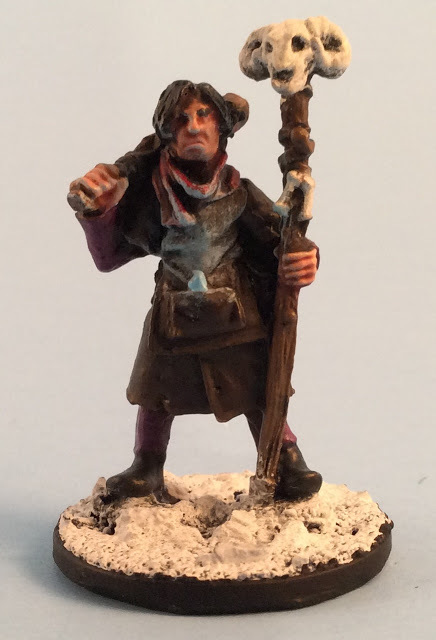 I also painted a magical stone in his pocket that is radiating blue light to good effect. All the details picked up great on this model. I really enjoyed painting this one. 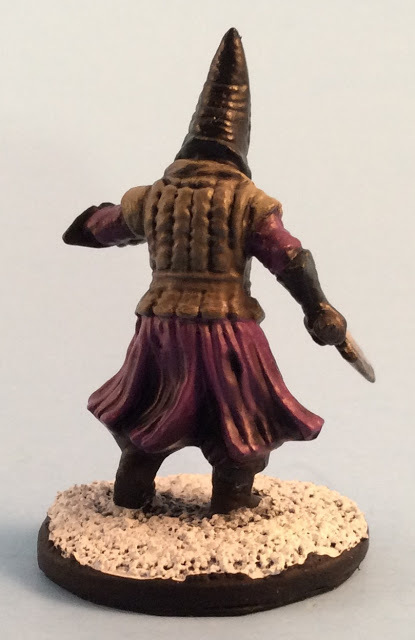 For scale, check out my Templar versus a Pathfinder Mini by Reaper. 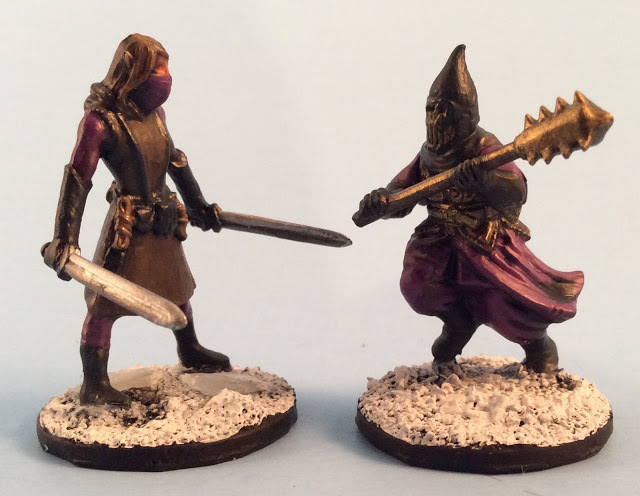 Miniatures The size difference is acceptable and I use the Pathfinder mini as my Cultists’ Captain. Another scale comparison. 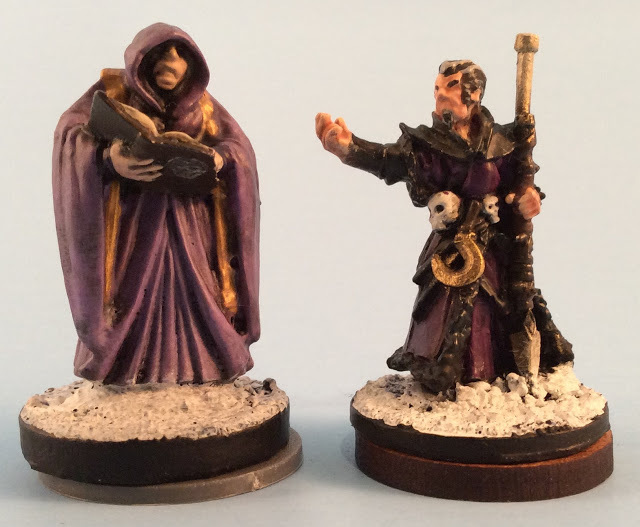 Here we have my Necromancer placed beside a Reaper Bones Cultist. 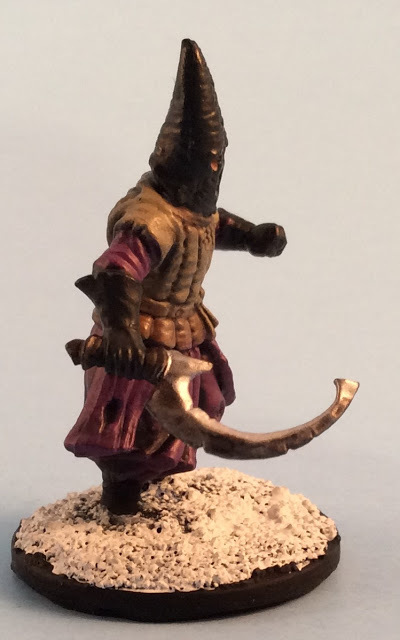 The Reaper figure is much bigger, but I think it is an acceptable difference for in a game. 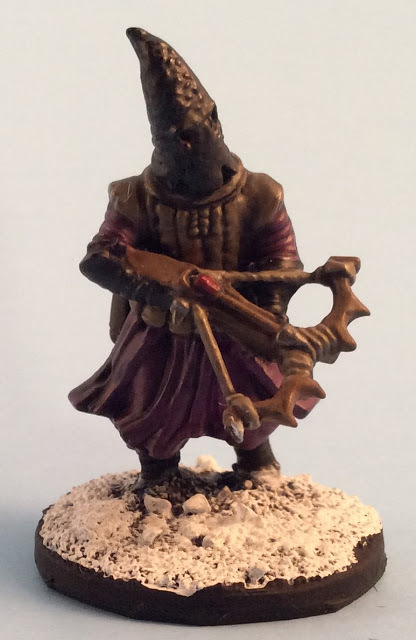 I use this Reaper figure as a Null Man and a Random Cultist. 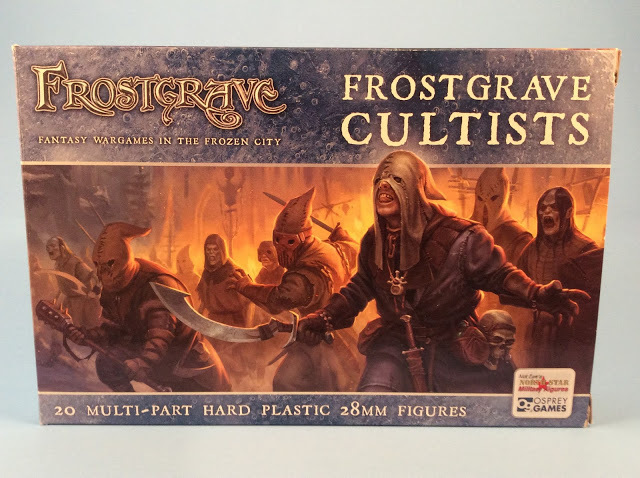 If you enjoyed my review and showcase of the Frostgrave Cultist Boxed Set, please head over to my Facebook Page and give it a Like. Liking my Facebook page will keep you up to date with my newest posts and get you teaser images to some of my entries before they are published. 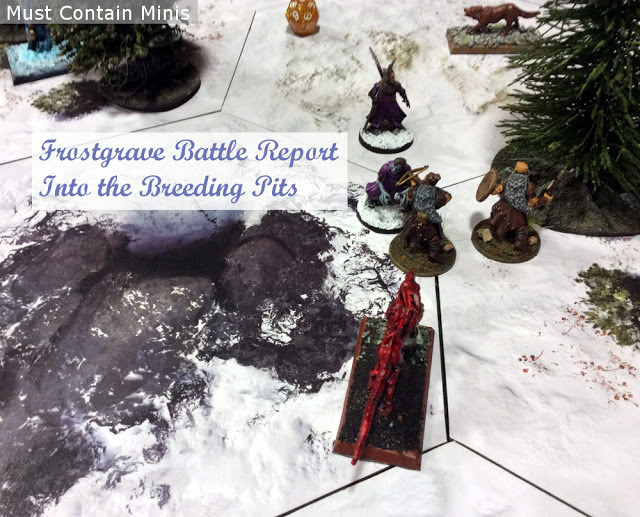 For those interested, we also have a Review of the Frostgrave Barbarians. 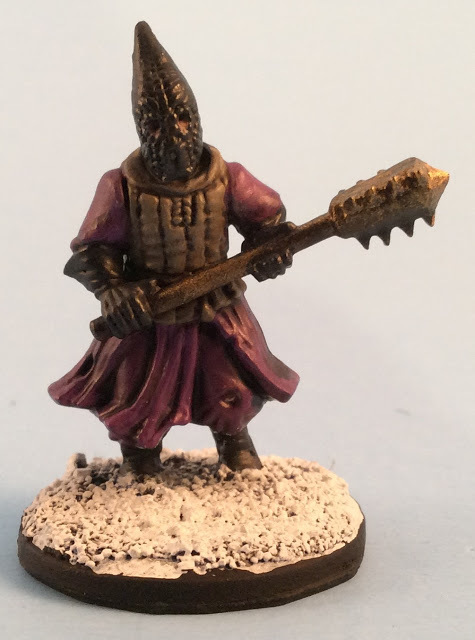 In the comments below, let me know if you did anything special to customize your Box of North Star Military Figures Cultists. Right I'm going to have to get me some of these bad boys! They are nice and so far, still my favourite ones by North Star.